As a way to thank everyone who supported and made the Film Festival possible, Santa Barbara International Film Festival will once again be showing select award winning films from the 2019 SBIFF during the 3RD WEEKEND! “As a thank you to our community, films we will be shown for FREE! No tickets necessary, seating will be on a first come first served basis at SBIFF’s Riviera Theatre,” according to the organizers. Friday, February 15 – 7:30 p.m. In the world of professional sports, no athlete ever came back from a mental health disorder—until Ron Artest, now known as Metta World Peace. Saturday, February 16 – 7:30 p.m. 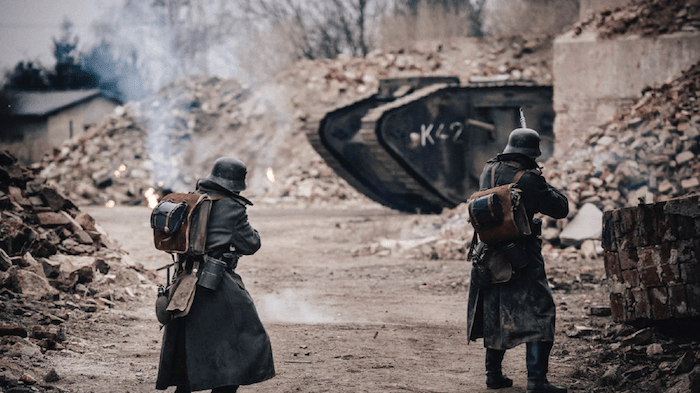 When Esben flees the trenches of WWI after three years at the front, it’s so he can return to his beloved wife Kirstine and son Karl. But everything at home has changed. Sunday, February 17 – 7:30 p.m. When two couples with mixed feelings about having kids hatch a plan to have and share one baby, it seems like the perfect compromise—until things spiral out of control. The Riviera Theatre is located at 2044 Alameda Padre Serra, Santa Barbara. Originally published in Santa Barbara Seasons on February 12, 2019. Santa Barbara International Film Festival (SBIFF) opens with world premiere of Diving Deep:The Life and Times of Mike deGruy, directed by Mimi deGruy. Closing night film is Spoons: A Santa Barbara Story, directed by Wyatt Daily. Just announced: Rami Malek to receive Outstanding Performer of the Year on Friday, Feb. 1. 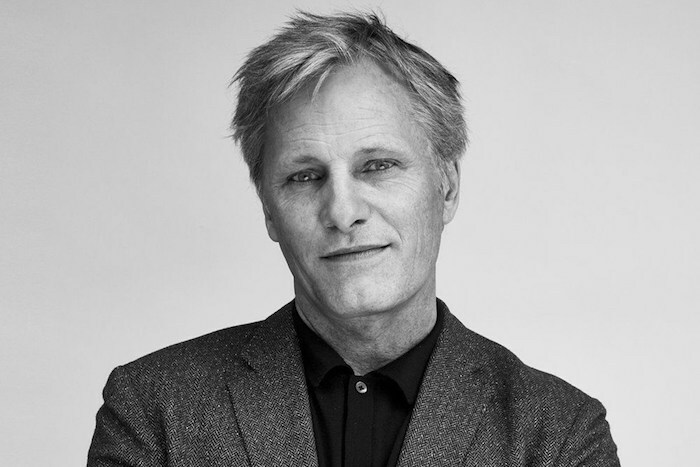 Plus tributes to Viggo Mortensen, Glenn Close, Melissa McCarthy, Michael B. Jordan and more, including 64 world premiere and 59 U.S. premiere films. Here’s an overview of the entire festival, which runs from Wednesday, January 30 through Saturday, February 9. SBIFF 2019 will start with the Opening Night Film, presented by UGG®, on Wednesday, January 30, at the historic Arlington Theatre with the world premiere of Diving Deep:The Life and Times of Mike deGruy, directed by Mimi deGruy. A feature film documentary about Mike deGruy, an irrepressible biologist turned award-winning filmmaker who swam, dived and filmed in oceans around the world and in the process became the first to film many rarely seen creatures in their own oceans. He was also a passionate advocate of the ocean’s creatures and became increasingly outspoken as an environmental activist. In 2012, deGruy died tragically in a helicopter crash in Australia while filming for director James Cameron. Told through the eyes of his wife and filmmaking partner, Diving Deep celebrates deGruy’s remarkable life, career and what he passionately believed: we are destroying the ocean before we even know what’s there. 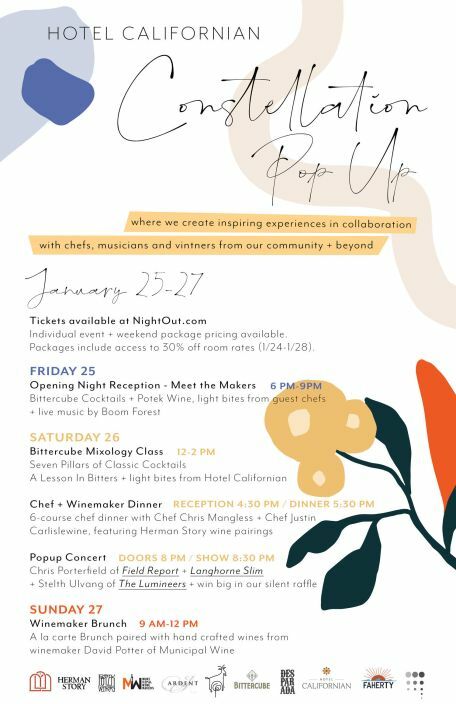 Following the film, the Opening Night Gala, sponsored by Amazon Studios, will take place in Paseo Nuevo Shops and Restaurants in downtown Santa Barbara. 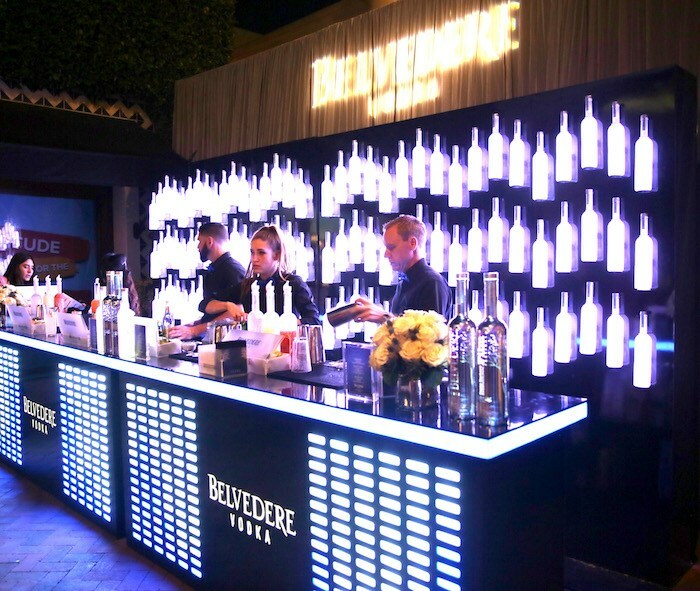 Always a fun event, the party features entertainment, food, libations, and a chance to celebrate the start of SBIFF. The Festival will close Saturday, February 9 at the Arlington Theatre with the world premiere of Spoons: A Santa Barbara Story directed by Wyatt Daily. The Closing Night Film is sponsored by Winchester Mystery House. TRAILER – Spoons: A Santa Barbara Story from Wyatt Daily on Vimeo. Spoons: A Santa Barbara Story is an exploration of how one of the most significant corners of the world produced, and continues to produce, some of the most talented surfers and innovators. Deeper than all is a story of craftsmanship, work ethic, renegades and tradition. This is a film that goes beyond the time spent in the ocean to define how one spends a lifetime. 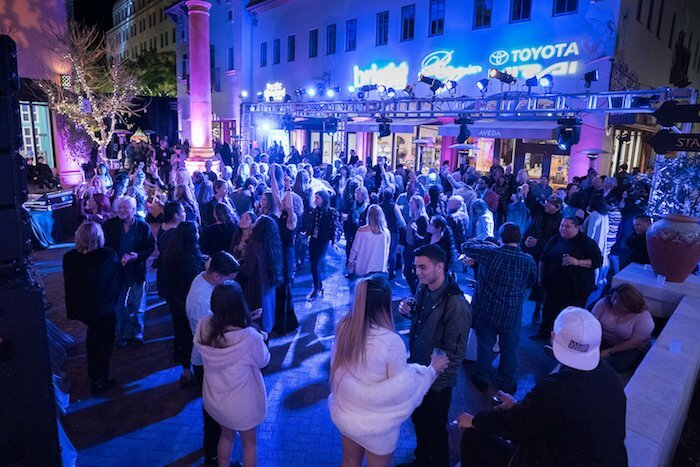 Following the film, SBIFF will end with a final celebration at the Closing Night Party sponsored by Amazon Studios. SBIFF has become an important showcase for Academy Award frontrunners, many of whom have arrived as nominees and gone on to win the Oscar. The 34th SBIFF proudly celebrates some of the year’s finest work in film. Rami Malek (Bohemian Rhapsody) will receive the Outstanding Performer of the Year Award on Friday, February 1 at 8 p.m.
Viggo Mortensen (Green Book) will receive the American Riviera Award, on Saturday, February 2 at 3 p.m.
Glenn Close (The Wife) will receive the Maltin Modern Master Award, moderated by longtime friend, film historian, and award namesake Leonard Maltin on Saturday, February 2 at 8 p.m.
Melissa McCarthy (Can You Ever Forgive Me?) will receive the Montecito Award, sponsored by Bella Vista Designs, on Sunday, February 3 at 8 p.m. The Variety Artisans Awards, sponsored by Variety, will take place on Monday, February 4 at 8 p.m., and will be moderated by Tim Gray. Honorees to be announced. 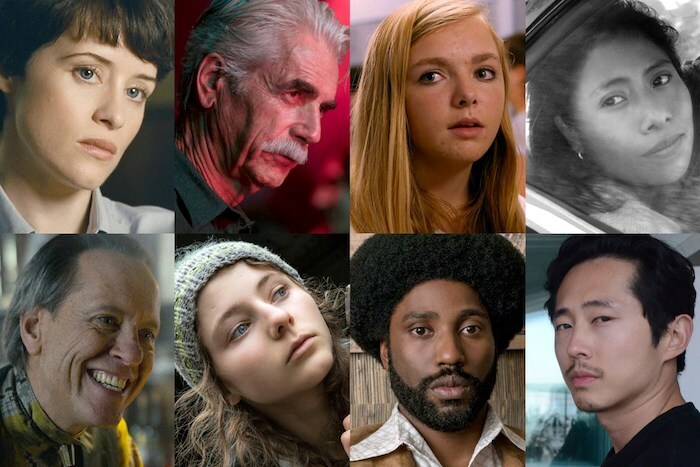 The Virtuosos Award, presented by UGG®, will be awarded to Yalitza Aparicio (Roma), Sam Elliott (A Star is Born), Elsie Fisher (Eighth Grade), Claire Foy (First Man), Richard E. Grant (Can You Ever Forgive Me? ), Thomasin McKenzie (Leave No Trace), John David Washington (BlacKkKlansman), and Steven Yeun (Burning) on Tuesday, February 5 at 8 p.m., moderated by Dave Karger. Michael B. Jordan (Creed II, Black Panther) will receive the Cinema Vanguard Award presented by Belvedere Vodka on Thursday, February 7 at 8 p.m.
All tributes take place at the historic Arlington Theatre with the exception of the Variety Artisans Award which will be at the Lobero Theatre, presented by Toyota Mirai. MIchael B. Jordan, courtesy SBIFF. SBIFF has become renowned for creating smart, insightful panels that feature a who’s who in the world of filmmaking, including many Oscar contenders. Producers Panel will be on Saturday, February 2 at 10 a.m., moderated by Glenn Whipp. Writers Panel will be on Saturday,February 2 at 1 p.m., moderated by Anne Thompson. Women’s Panel will be on Sunday, February 3 at 11 a.m., moderated by Madelyn Hammond. All panels take place at the Lobero Theatre, presented by Toyota Mirai. Panelists to be announced. Mike’s Field Trip to the Movies – Named for renowned nature cinematographer Mike deGruy, Mike’s Field Trip to the Movies uses filmmaking to stimulate creative, confident, and culturally aware thinkers. 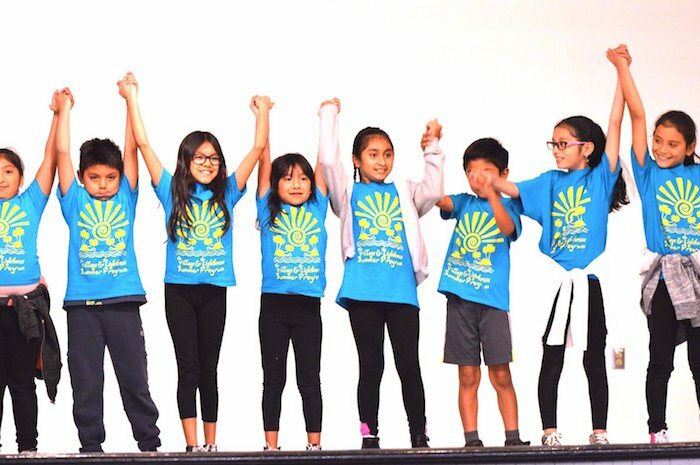 The program is offered to 4,000 4th, 5th, and 6th grade students from throughout Santa Barbara County, and SBIFF provides free transportation to students from Title I schools. This year SBIFF presents Spider-Man: Into the Spider-Verse with directors Peter Ramsey, Robert Persichetti Jr., Rodney Rothman and Ralph Breaks the Internet with directors Rich Moore and Phil Johnston. The directors will participate in a Q&A following the screenings with the students to discuss the craft of animated filmmaking. Sponsored by Montecito Bank & Trust, Patagonia, Union Bank, Bentson Foundation and Volentine Family Foundation. Student Film Studies Program – Returning for its fifth year thanks to the generosity of Lynda Weinman and Bruce Heavin, the national student film studies program will bring 30 undergraduate film students from across the country for a three-day symposium with a focus on film appreciation, criticism, and analysis. Sixty college students in Santa Barbara have the opportunity to take an 11-Day Film Festival course through Santa Barbara City College. AppleBox Family Films – SBIFF will again screen animated feature frontrunners free to families on the weekends of the Festival with complimentary popcorn and refreshments. This year’s screenings will include Spider-Man: Into the Spider-Verse (10 a.m. on February 2), Ralph Breaks the Internet (10 a.m. on February 3), and Incredibles 2 (10 a.m. on February 9). Sponsored by Metropolitan Theatres. 10–10–10 Student Screenwriting and Filmmaking Mentorship and Competition – In October, 20 high school and college screenwriters and filmmakers were accepted after a competitive application process before beginning a series of workshops, a table read, and a casting day. Since then, the ten writer/director teams and their crews have worked with industry mentors to produce short films that will be screened on Saturday, February 9 at 2 p.m. at The Arlington Theatre, with an announcement of the winning scripts and films following the screening. Sponsored by Final Draft Inc. and generously supported by Mary Beth Riordan. 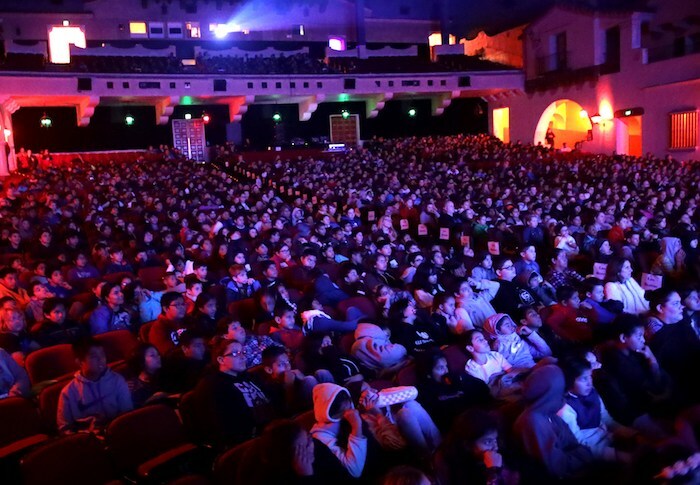 Free Public Screenings – SBIFF will again offer critically acclaimed film screenings free to the public at the Lobero Theatre presented by Toyota Mirai everyday throughout the Festival. Filmmaker Seminars – SBIFF will again present educational seminars that will be free to the public and will take place in the Festival Pavilion daily at 11 a.m. Filmmaker Seminars are sponsored by Driscoll’s. Super Silent Sunday – On Sunday, February 3, SBIFF will present the 1927 influential German science-fiction film Metropolis at the Arlington Theatre completely free to the public. Live accompaniment will be provided by Adam Aceto on the theatre’s Wonder Morton pipe organ. Super Silent Sunday is sponsored by Winchester Mystery House. Youth CineMedia – SBIFF presents a documentary film series produced entirely by teens involved in the Youth CineMedia program. Striving to help children transition away from gang life, drugs, and alcohol and into college and careers in music, photography, and video production, the organization offers creative tools, training, and support for underprivileged and at–risk teens. Free to the public with Q&A following on Saturday, February 9. Santa Barbara Filmmakers – The Santa Barbara filmmaking community continues to captivate and inspire audiences with this year’s impressive lineup. Santa Barbara filmmakers provide a diverse, thought–provoking series of features and shorts. The Tribute Awards were once again specially designed by Santa Barbara’s own Daniel Gibbings Jewelry. The award is inspired by the iconic steeple of Santa Barbara’s historic Arlington Theatre, is handcrafted in metal, and is 24 karat gold–plated, with a custom marble base. 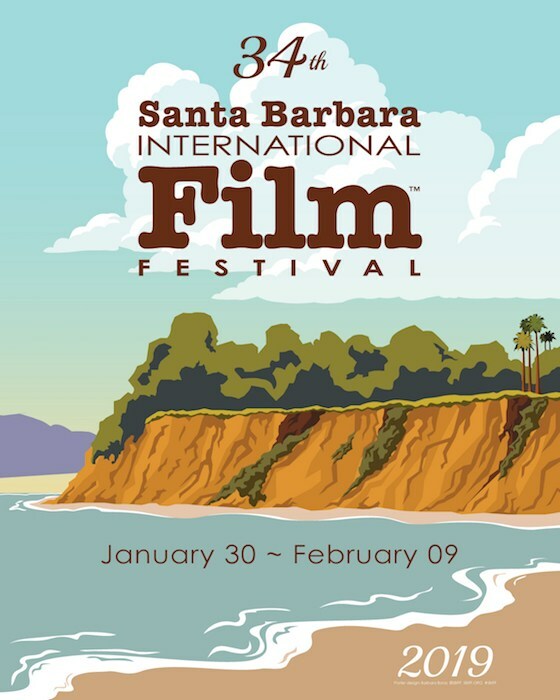 34th Festival Poster – Barbara Boros has designed the SBIFF poster each year for 16 years, this year highlighting Butterfly Beach. Official Festival Hub – The official festival hub will again be located at Hotel Santa Barbara, returning for their 16th year as supporters of SBIFF. Below is the list of feature and short films at the 2019 SBIFF. For the complete list of films, synopses, and other special events, visit www.sbiff.org. Tampoco Tan Grandes (Not Quite Adults), by Federico Sosa (Arg., 2018) / TRAILER with English subtitles. from Pampa Films on Vimeo. For more information and updates, visit sbiff.org. Originally published in Santa Barbara Seasons on January 29, 2019. Actresses Allison Janney, Margot Robbie and moderator Scott Feinberg speak onstage at the Outstanding Performers Honoring Margot Robbie and Allison Janney Presented By Belvedere Vodka during The 33rd Santa Barbara International Film Festival at Arlington Theatre on February 8, 2018 in Santa Barbara. Photo by Rebecca Sapp, Getty Images for SBIFF. A joyous celebration of the art of cinema, the Santa Barbara International Film Festival (SBIFF) is one of the leading film festivals in the U.S., offering its 90,000 attendees (comprised of an eclectic mix of locals and visitors from around the world) an 11-day experience jam-packed with 200+ films, tributes and panels. Among the highlights of the 2019 festival, taking place Jan. 30 – Feb. 9, are the celebrity tributes at the historic Arlington Theatre. First up (at press time) is the American Riviera Award honoring Viggo Mortensen on the afternoon of Feb. 2. Mortensen will be recognized for his many attributes to the art of film over the years, and most recently, his work in Green Book. That same evening, Glenn Close is set to receive the prestigious Maltin Modern Master Award. Close will be honored for her longstanding contributions to the film industry, most recently gracing the silver screen in The Wife. Leonard Maltin will return for his 28th year to moderate the evening. 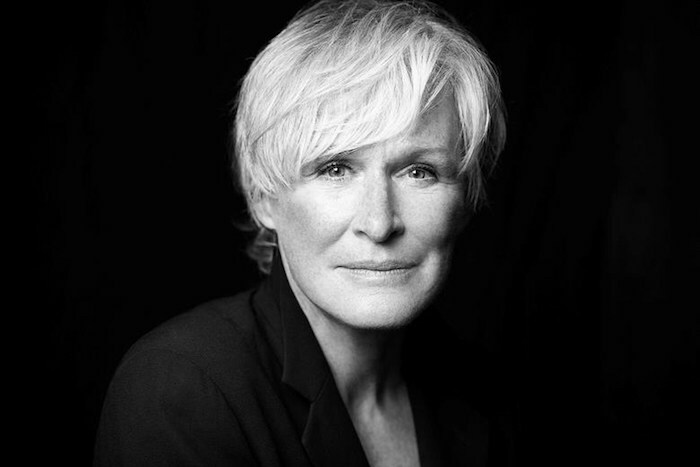 “Glenn Close is one of the great actresses of our time. Versatility is her hallmark, and there is clearly nothing she can’t do. She became a star with her first feature film, The World According to Garp, and has gone on to play everyone from Cruella de Vil to aging silent-film star Norma Desmond in the stage musical of Sunset Blvd. I can’t wait to spend an evening with her onstage at the Arlington Theatre,” states Maltin. 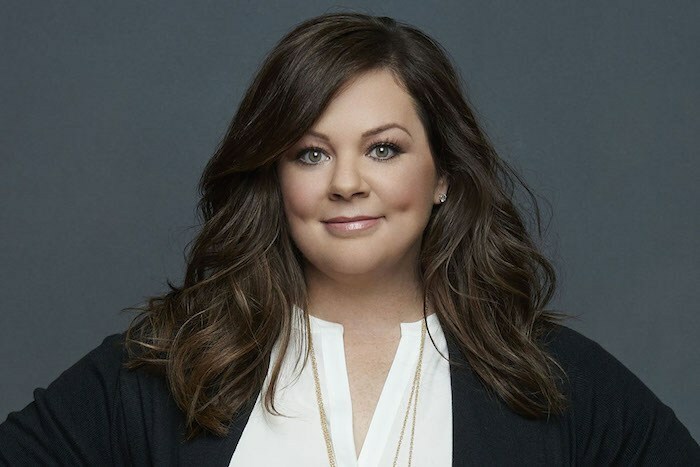 Melissa McCarthy will receive the prestigious Montecito Award, for her starring role in Can You Ever Forgive Me? Given to a person in the entertainment industry who has made a great contribution to film, the award will be presented to her on Feb. 3. SBIFF Virtuosos Award presented by UGG honoring Yalitza Aparicio (Roma), Sam Elliott (A Star is Born), Elsie Fisher (Eighth Grade), Claire Foy (First Man), Richard E. Grant (Can You Ever Forgive Me? ), Thomasin McKenzie (Leave No Trace), John David Washington (BlacKkKlansman),and Steven Yeun (Burning). Photos courtesy SBIFF. Always a fun and lively presentation, the Virtuosos Award is an honor created to recognize a select group of talent whose noteworthy performances in film have elevated them into the national cinematic dialogue. Yalitza Aparicio (Roma), Sam Elliott (A Star is Born), Elsie Fisher (Eighth Grade), Claire Foy (First Man), Richard E. Grant (Can You Ever Forgive Me? ), Thomasin Harcourt McKenzie (Leave No Trace), John David Washington (BlacKkKlansman), and Steven Yeun (Burning) will receive the award on Feb. 5. 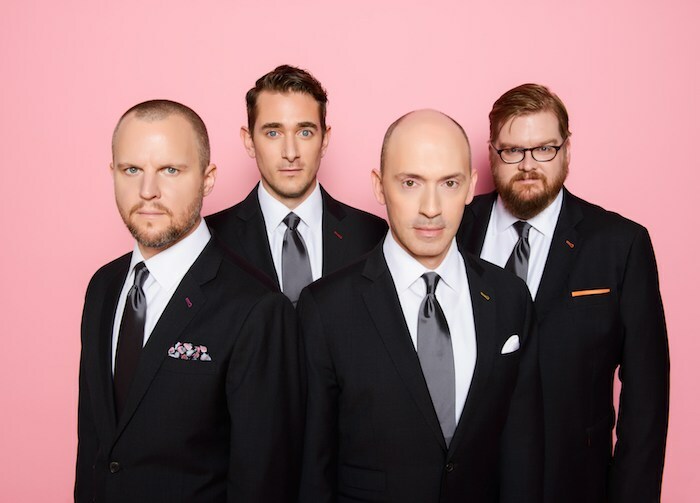 Virtuosos prove that you can have a breakout moment at any point in your career,” says Turner Classic Movies host Dave Karger, who will preside over the evening for the eighth consecutive year. culturally significant and record-breaking box office hits, Black Panther and Creed II. 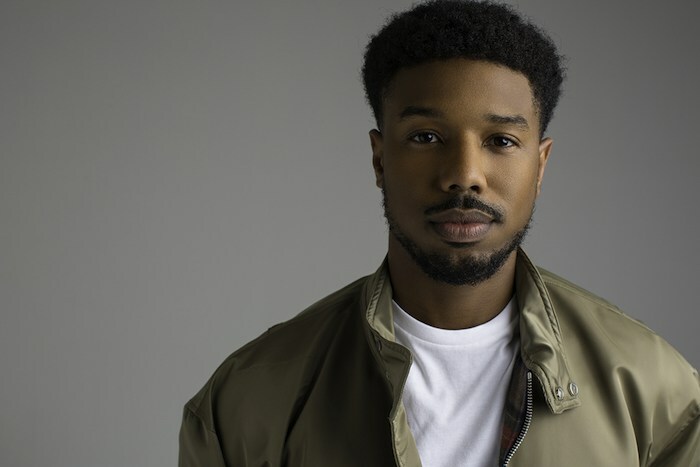 “It’s thrilling to honor Michael B. Jordan this year for the emboldened way he’s shown us what it means to be a movie star for the 21st century—mixing sensitivity with swagger, choosing important material that remains full of integrity yet become world phenomenon, and forging a cinematic partnership with visionary director Ryan Coogler,” says Durling. SBIFF educational offerings include a Film Studies Program for undergraduate students from around the U.S., and the 10-10-10 (Ten Writers – Ten Directors – Ten Films) Screenwriting and Filmmaking Mentorship and Competition. There are also numerous other educational opportunities for local students and community members. For more information and the complete schedule, visit sbiff.org. 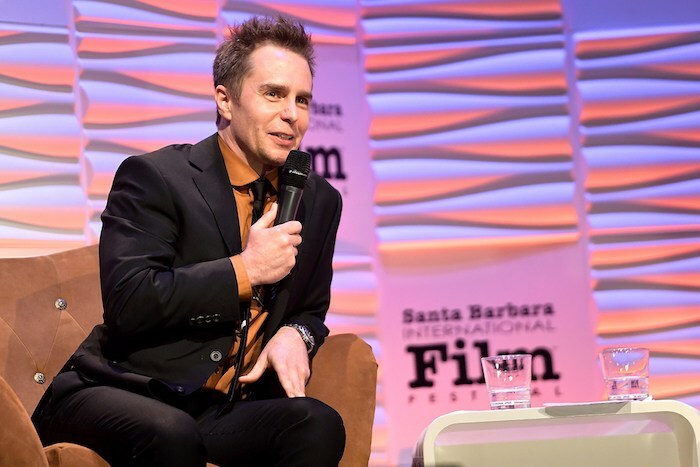 Actor Sam Rockwell speaks onstage at The American Riviera Award Honoring Sam Rockwell during The 33rd Santa Barbara International Film Festival at Arlington Theatre on February 7, 2018 in Santa Barbara. Photo by Matt Winkelmeyer, Getty Images for SBIFF. Originally published in the Winter 2019 issue of Santa Barbara Seasons Magazine. Jon Batiste, photo by Ambo Elliot. 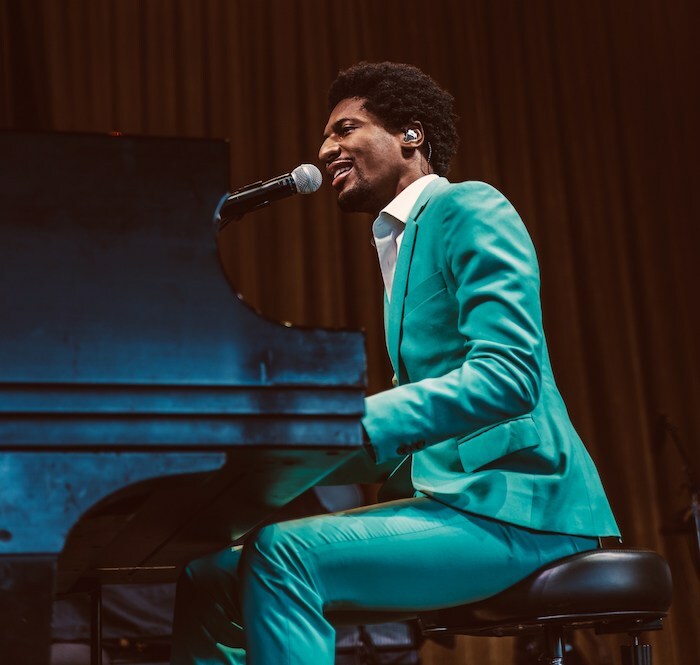 Jazz musician Jon Batiste, bandleader on The Late Show with Steven Colbert, makes his Santa Barbara debut on Friday, January 11 at 8 p.m. at UCSB Campbell Hall, in a UCSB Arts & Lectures presentation. Batiste is seen by millions on television five nights a week on The Late Show with Stephen Colbert. “The energy and the excitement, the love of the audience, the humanism that he brings to his music is everything that I want,” says Colbert. 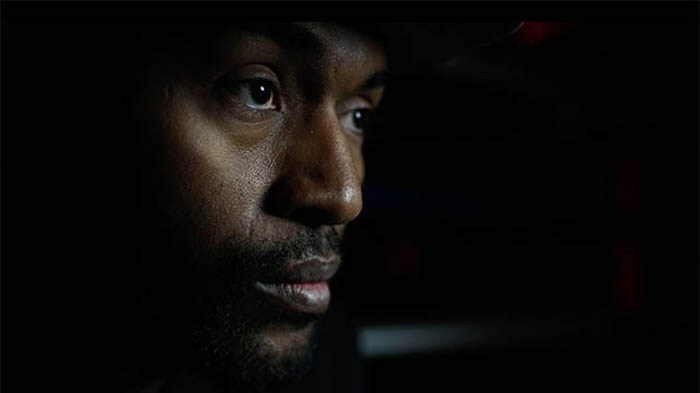 With his soulful brand of high-energy pop mixed with New Orleans funk and American jazz standards, his 2013 album Social Music with his band Stay Human topped the charts as the No. 1 jazz album in the world. His new album was recorded in a church in native city of New Orleans and produced by T Bone Burnett. Batiste’s major label debut, Hollywood Africans, is a stunning showcase of the brilliant pianist and vocalist. Primarily just Batiste and his piano, it includes standards, unexpected covers and original songs. This release displays Batiste’s dynamic talents and highlights his musicality and virtuosity on his instrument. The Forbes 30 under 30 honoree balances a demanding performance schedule—which often includes his signature, impromptu ‘love riot’ street parades—with his role as bandleader on the Late Show with Stephen Colbert, Artistic Director At Large of the National Jazz Museum in Harlem, public speaking engagements, master classes and occasional acting gigs. He played himself on the HBO series Treme and most recently appeared in director Spike Lee‘s Red Hook Summer. Batiste is also a coveted artist brand ambassador– currently featured in ad campaigns for Chase Bank, the Apple Watch, Lincoln Continental and numerous fashion brands including Polo Ralph Lauren Black Label, Frye, Kate Spade, Jack Spade Barneys, Nordstrom and H&M. For tickets or more information, call UCSB Arts & Lectures at 805/893-3535 or purchase online at www.ArtsAndLectures.UCSB.edu. Originally published in Santa Barbara Seasons on January 9, 2019. The Christmas Revels, Dec. 22-23 at the Lobero Theatre. One of Santa Barbara’s favorite holiday traditions for the whole family is the annual Christmas Revels musical production. This year’s story, An Irish Celebration of the Winter Solstice, is a joyous theatrical production celebrating the spirit and strength of the Irish emigrants who came to America in the early 1900’s to build new lives in a new land. At sea over the holidays, these strangers bond over spinning stories, singing songs, and sharing seasonal traditions; friendships are formed, romance blossoms. 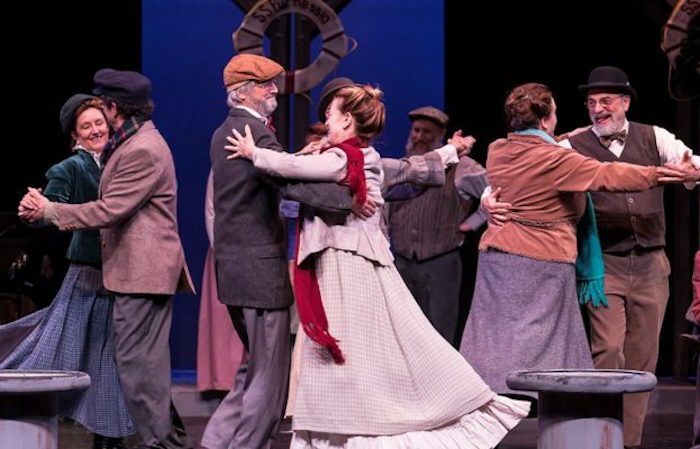 Joining the Revels Company are accomplished guest artists, including award-winning actors and Irish dancers as well as vocal soloists, a brass ensemble and a string and wind quintet. The Christmas Revels is an exciting and heartwarming entertainment experience for every age and a favorite Santa Barbara holiday tradition created by and for our community for the past 11 years. The show takes place at the Lobero Theatre (33 E. Canon Perdido St., Santa Barbara) Dec. 22 at 2:30 p.m. and 7:30 p.m. and Dec. 23 at 2:30 p.m. For more information or to purchase tickets, click here. Originally published in Santa Barbara Seasons on December 16, 2018. Everybody Dance Now! courtesy photo. Looking for a fun, holiday performance to take the kids to? Everybody Dance Now! 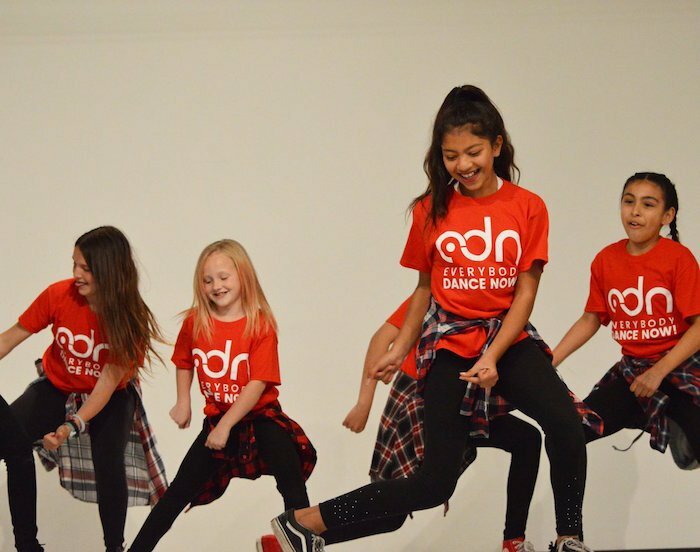 Invites you and your family to the Everybody Dance Now! Holiday Performance on Friday, December 14 at 5:30 p.m. at the Santa Barbara County Education Office Auditorium(4400 Cathedral Oaks Rd., Santa Barbara). Guest artists include DJ Sparx and MC Omar Khan in what is sure to be a fun, high-energy night of entertainment. The event is donation-based and is free to attend. Everybody Dance Now! 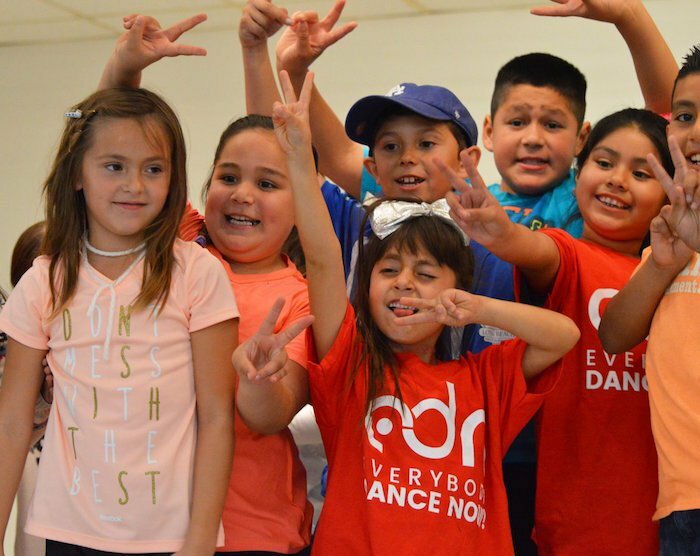 will allocate all funds raised towards continuing to offer free or low-cost dance classes to hundreds of dancers each week. For more information about the event and this terrific organization, visit www.everybodydancenow.org. Originally published in Santa Barbara Seasons on December 8, 2018. Black Friday –The official start to the holiday shopping season, Black Friday on November 23 is getting an early start opening at 7 a.m., although some retailers will open even earlier. For a full list of store hours, visit PaseoNuevoShopping.com. On the retail front, new to Paseo Nuevo this year is Mama Luma, a local children’s wear boutique specializing in beautiful dresses for little girls. Always a great place to purchase locally made gifts, the Yes Store is back again this year with their collection of artisanal items including wood pieces, pottery, jewelry and photographs. New to downtown is the Santa Barbara Night Market located in the former Macy’s department store. Here you can experience a European-style night market complete with twinkle lights and holiday décor. Shop handcrafted items and holiday gifts or enjoy the food and beverage village. 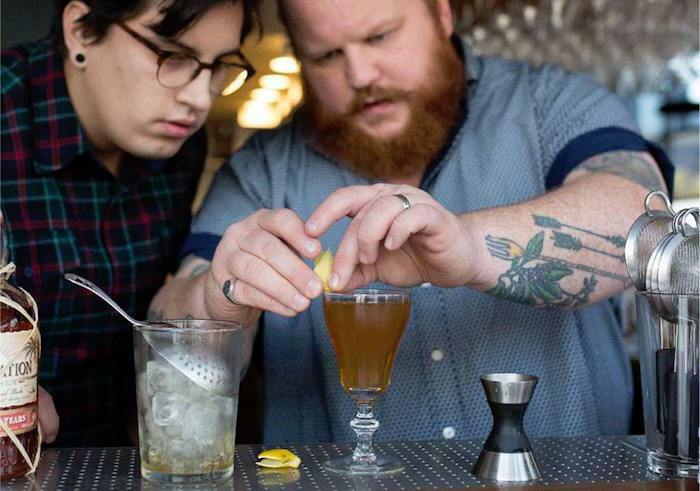 Open Thursday-Sunday from 4-10 p.m. There’s also a Trinidad3 pop-up shop, in a one-of-a-kind Airstream trailer, outfitted with a denim bar featuring premium denim made in the USA. Trinidad3 is popping-up on Sundays in De La Guerra Place. Let It Snow – Check out Santa Barbara’s “best in snow” when nightly snowfall shows take place twice each evening in Center Court as a flurry of white snow falls down on the Christmas tree, singing carolers, and shoppers, a magical tradition enjoyed by the entire family. Snowfall shows will start promptly at 6 p.m. and 7 p.m. from Friday, November 23 to December 31 (no shows on Christmas Day). 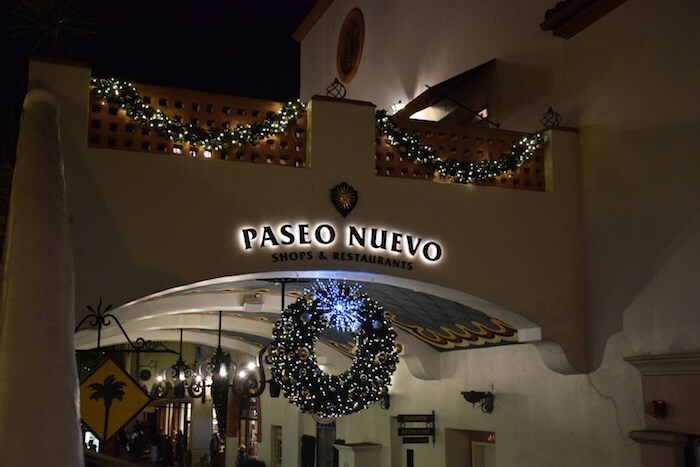 Silent Night Silent Disco – On Thursday, November 29 from 5:30-7:30 p.m., join Paseo Nuevo for Silent Night, a silent disco holiday dance party for the entire family! Wear your ugliest sweater and be prepared to dance and sing-a-long to your favorite holiday tunes through headphones! Come early to get headsets for the entire family. Jam to your favorite songs and watch the snowfall at 6 p.m. and 7 p.m. for the merriest night of the season—and it’s free! 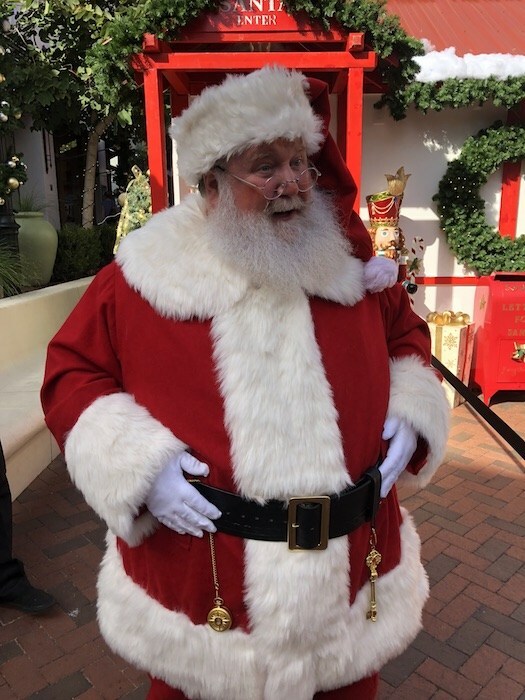 Visit Santa – Santa takes up residence in his Santa Barbara home at Paseo Nuevo’s Center Court starting Friday, November 23. Children will be able to visit him daily through December 24. Santa will be open early on December 2 & 9 from 9-11 a.m. for children with special needs while Tuesday evenings will be open for pet photos where even the furriest family members can snap a photo with Santa. Every child will receive a free gift and Santa’s elves will be on hand to catch the precious moment in a photo. Breakfast With Santa – On December 1 and December 8, from 8-10 a.m., California Pizza Kitchen hosts a breakfast event featuring a special guest, Santa Claus! Breakfast includes a breakfast pizza, drink, and crafts for $10/child, $15/adult. Children under 3 eat for free. Call Evelyn at 805/962-4648 for reservations. 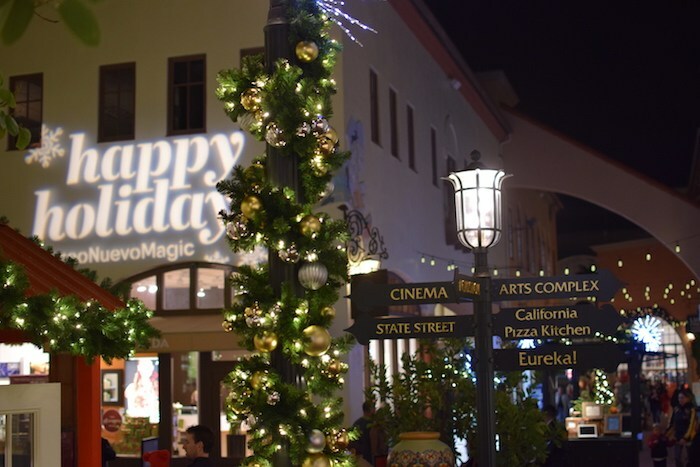 Win Prizes with #PaseoNuevoMagic – For a chance to WIN weekly holiday themed contests, guests can snap, share and tag their holiday experience on Facebook, Instagram and Twitter with @ShopPaseoNuevo and hashtag #PaseoNuevoMagic. Winners will be chosen every week beginning November 23. Originally published in Santa Barbara Seasons on November 20, 2018.